Because the Acts of Faith gets so many requests from faith communities, professional, and non-professional theatres each year to be a part of the festival, and because there are only three slots in the Associate Theatre category, we created the "Fringe" festival. This way we can include as many shows and communities as wants to carry on the conversation of story and faith. The Jeweler's Shop explores questions of morality, timing, free will, suffering, and hope in marriage as we journey with 3 couples to the final scene: a wedding. The Dining Room explores tradition, family, values, community, and faith, all around a single dining room table where scenes from different time periods overlap and intertwine. 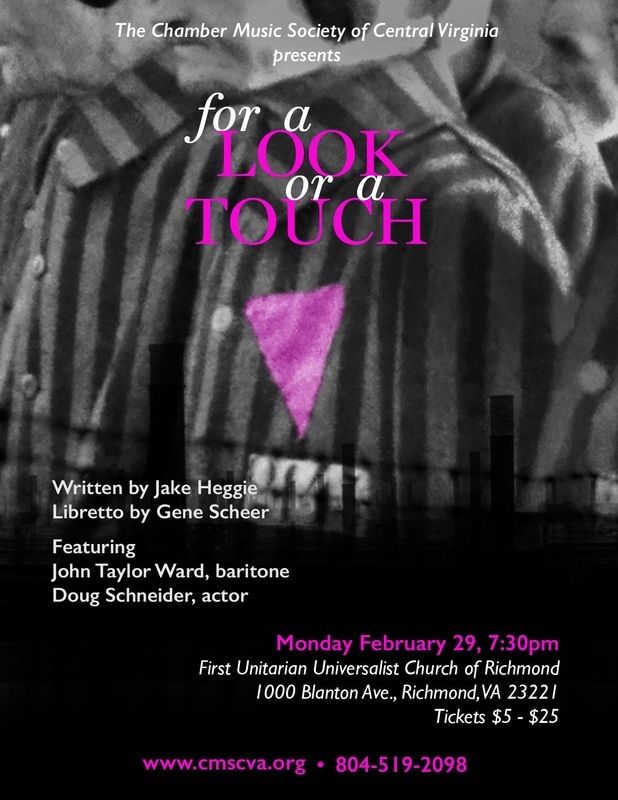 For a Look or a Touch, written in 2007, is one of only a few classical music works that remember homosexual victims of the Holocaust by chronicling the horrendous treatment of gay people before, during, and after World War II.